This sheer scale of attacks, not just terrorist but all these big mass casualty attacks are becoming more and more difficult to anticipate and stop ahead of time, says former British intelligence officer Annie Machon. 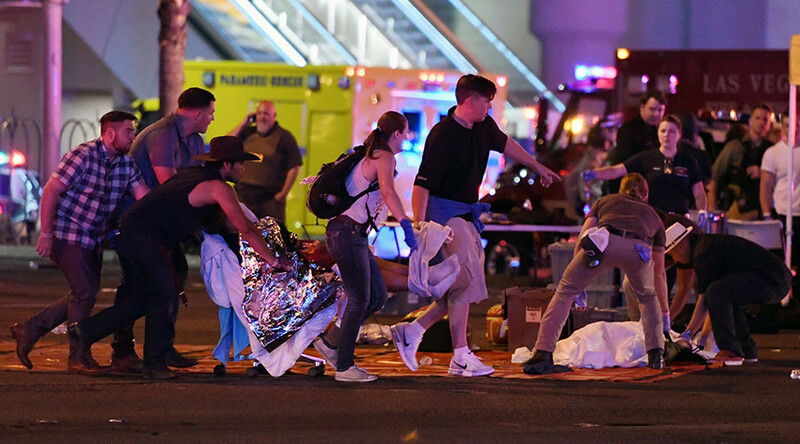 58 people were killed and 515 injured in a mass shooting during an open-air music festival in Las Vegas, near the Mandalay Bay Resort and Casino on Sunday night. RT: Police say it was a lone-wolf attack by a local resident. What do you think the motive could have been? Annie Machon: There could be any number of different motives in America. Obviously, they have the Second Amendment to the Constitution; it’s about the last right they still have in America, which is the right to bear arms. It is very easy for citizens to get access to very high caliber weaponry. 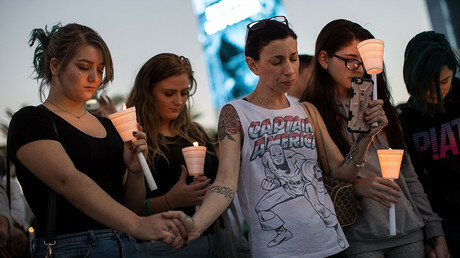 A lot of different things can trigger these sort of attacks; there is a long and awful history of the lone-wolf, lone-shooter attacks both in American schools and in nightclubs, such as in the Florida nightclub last year. They could be triggered by any range of different issues: it could be Christian fundamentalists trying to have a go at pleasure seekers in Las Vegas; it could be race-related. It could just be alienation or mental health issues. It could be far-right extremism. Where do you stop? There are so many problems in that society, and the easy access to heavy weaponry is going to cause more and more of these attacks. RT: Police say his 'companion' is still at large. How much of a danger could that pose? AM: Quite significant, I would assess. Hopefully, they would have had CCTV in the hotel and be able to make a speedy identification and track him down. That is going to be the primary objective after helping the injured and the wounded. It is an appalling attack. One other aspect that concerns me somewhat is that with all the ISIS-inspired attacks going on around the world that they might be encouraging, triggering people to carry out similar-style attacks against concert-goers, for example. Whether or not they are inspired by ISIS, whether they are inspired and have grudges for other reasons. They can see the effect in the sheer terror that is produced by these attacks on big concert-going crowds. RT: It seems the shooters were on the 32nd floor of the hotel nearby. Could there have been a lapse in security? How could this have been prevented, if at all? AM: I think it would be very difficult. There is a rampant black market in these sort of weapons. Yes, someone checking into a hotel room with large semi-automatic weapons, you think that would be slightly easier to spot. I would assume the security at the hotel would be armed; there was probably quite a speedy response if they stopped the attack relatively quickly. Even so, what do you do? Do you have metal detectors at every hotel entrance? It would be impossible to implement. This new reality of attacks is very difficult to try and counter. And the sheer scale of attacks, not just terrorist but all these big mass casualty attacks are becoming more and more difficult to try and anticipate, try and stop ahead of time. RT: Could this re-ignite the gun debate? What kind of reaction do you expect from the White House? AM: I should imagine they will be horrified, very frightened for the citizens. And there will be some sort of security crackdown. There probably will be some kind of ring of steel erected around Las Vegas and other recreational centers across the US. However, to try and militate against a lone-shooter is incredibly difficult unless you create a literal ring of steel and check it when one is going into and out of these massive hotels. It is very hard to see exactly what security response they can instigate in this. Obviously, if there are some issues, say for mental health, if he is a local, he had a grudge. Then yes, they might need to tighten up the reporting of people with mental health issues as well. The overlap between what can be terrorism or gangland crime or mental health is usually quite stark, and there should be indicators where people can say, "I am really concerned about this person, they look like they might be able to flip." Those sorts of aspects of trying to highlight people who might be at risk of flipping into this sort of activity ahead of their actual breakdown might be a good thing to do as well.